Helping children to take care of their oral health can be quite a task. You need to know some tips that can help them promote their oral care. Know about the types of tooth-friendly food, how to brush and floss properly, and why pediatric dentist visits are a must. Involve the child in buying those healthy food items at the grocery. You can even plant some at your garden. Let your child take charge to prepare the table and see what all you have made. When he takes interest he gets to know more about ingredients. If you keep your child’s favorite toy around him when you’re trying to feed him something, it helps. Their mind diverts more into the object than to what he is eating. He gulps down unfamiliar food without making a fuss. Try to make healthy food accessible and available. Suppose your child opens the fridge to look for snacks. If he finds chopped carrots, he will have that. If you stock chips, he will look for it and have those instead. You can keep apples, cheese cubes, sprouts, in the fridge all the time. He can turn to healthy things when he is hungry. If your child is old enough to get to the supermarket nearby, give him a list of things to fetch. Let him go through a list full of fruits and veggies that he needs to pick up. He will get to know more about what they are, how much they cost and get familiar with healthier edibles. If you at all what to give your child sugary treats, make sure the quantity is minimal. Give them sweet treats as desserts and not as snacks during supper time. Having it with a big meal reduces chances of cavities. How to help them brush and floss? You should bring your child to kids dentist Duluth to know the expert ways of helping children maintain oral hygiene. They give you detailed tips on actions like brushing and flossing. A child needs help till the age of around 7-8 to brush and floss properly. Children can do without flossing till the age of 10. However, implementing it earlier can be good for their habits. You need to cooperate with their restlessness and help them brush well. You should buy around 2-3 toothbrushes and toothpaste types to excite your child’s brushing time. You can buy a bright and light one for the afternoon and a dark one for the night. These can have prints of superheroes or cartoons. Choose options that are sure to make your child happy. Try to make him choose his own toothbrushes. Create a reward chart where you sign every time your child brushes his teeth well. Tell him that you will give him a weekly treat if he continues to brush that way every day. You must start young and speak to your child about oral care. Tell him what a pediatric dentist does and why he needs one. 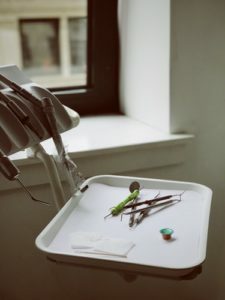 You need to take your child to a pediatric dentist before his first birthday, but to realize what a dentist is, he will take at least three more years. Try to choose a good clinic that supports your baby from the beginning. The doctor you show might be familiar to the child by the time he grows older. It helps him deal with the scenario. Read dentist-related books to your child to make understand more about oral hygiene. Don’t give your child any reward because he went to the dentist. It will show that there is something daunting about visiting a doctor. Take your child to the park or watch a movie before you take him to a dentist. Let him have a good day and support him throughout. Let the pediatric dentist handle the fusses your child makes. It is easy to come across oral care tips, but tough to put it in practice. You need to be creative, patient and enjoy what you do.